Below are the three designs to choose from for this year's Class B t-shirt. Whichever design gets the most votes, will be on this year's shirt. 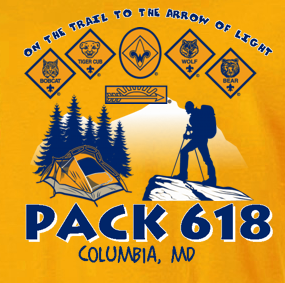 Every scout and uniformed leader will be issued a Class B shirt. 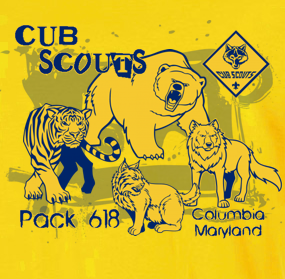 The cost of the shirt has been built into scout dues; you do not need to order a shirt unless you want an extra one for your scout. 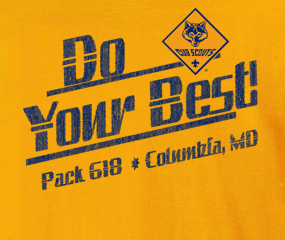 Shirt color will again be bright yellow (AKA: I can see you in the woods yellow). Voting will end on Sunday, Aug 26, at 8PM. Please email Mark Pennsy with questions.